Chiang Mai is street food heaven. During our six months in Thailand’s “most splendid city of culture” we ate very well. We discovered many Thai dishes we’d never heard of, and sampled some of the more well-known Thai dishes. 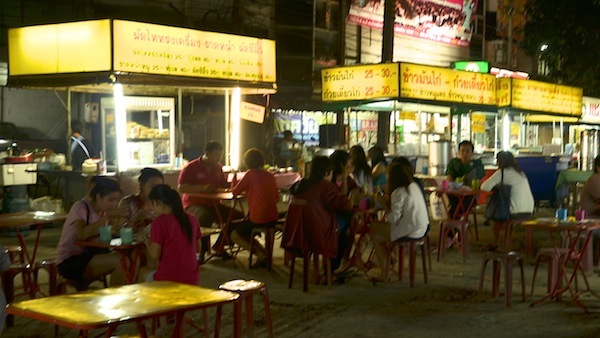 This popular khao soy restaurant does not actually have its name written in English. You just need to know it’s the restaurant beside Wat Fa Ham. The khao soy here is pretty good, a great introduction to the famous Chiang Mai dish. 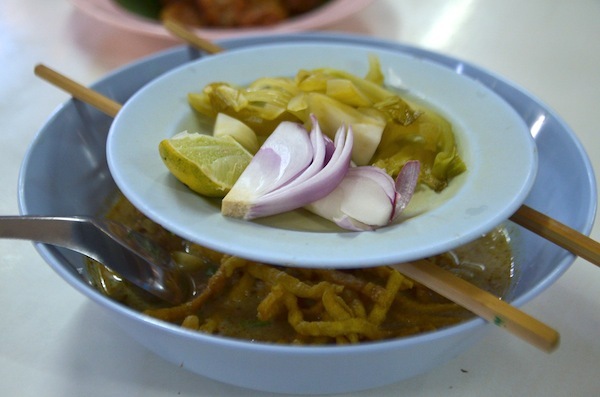 The restaurant also serves green chicken curry, som tam (papaya salad) and satay sticks. Nam prik ong, a spicy pork and tomato dip served with vegetables, and khanom jeen nam ngiaw, a fermented noodle dish, are worth trying. Smer Jai, named after the founder, is only open for lunch. After the main part of the restaurant closes, Smer Jai’s grandson sets up a barbecue out the front. There’s also a section selling a variety of Thai sweets. And if you can fit anymore in, you can have a coffee at the cafe inside Wat Fa Ham. “Our” market, where we met Market Mincer Man. The honey roast chicken stall on the far left of the market is highly recommended, as is the som tam stall outside the market and a few paces north. During the day, the market is your run-of-the-mill Asian wet market, with fresh fruit and vegetables at the front and a meat section at the back. 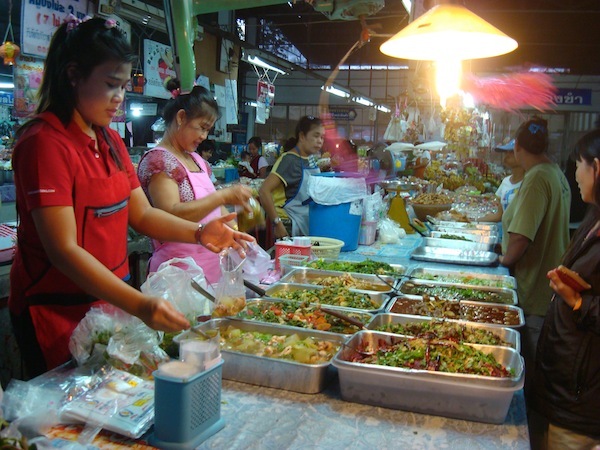 At night, vendors sell prepared food. There are different dishes every night, and the best stuff sells out quickly. Fabulous street food dishes, including desserts, are sold here every night. I never discovered the name of this little collection of stalls. 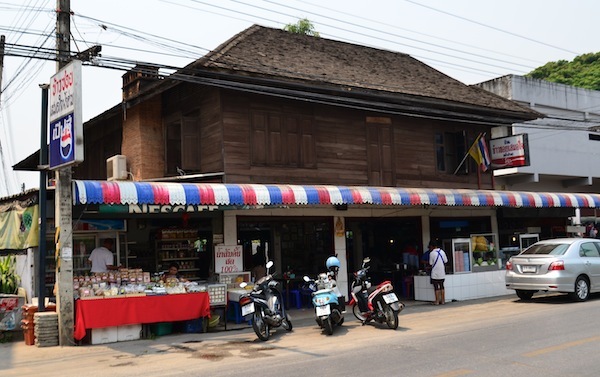 This place is on the right-hand side of the road, just after the Nimmanhaemin-Huay Kaew intersection. The khao kha moo (stewed pork with egg) from the big stall at the back is to-die for, and the pork noodle soup served in a coconut at the front left is also amazing. A pricier option but always a fantastic experience. It’s the place to try insects if you dare! 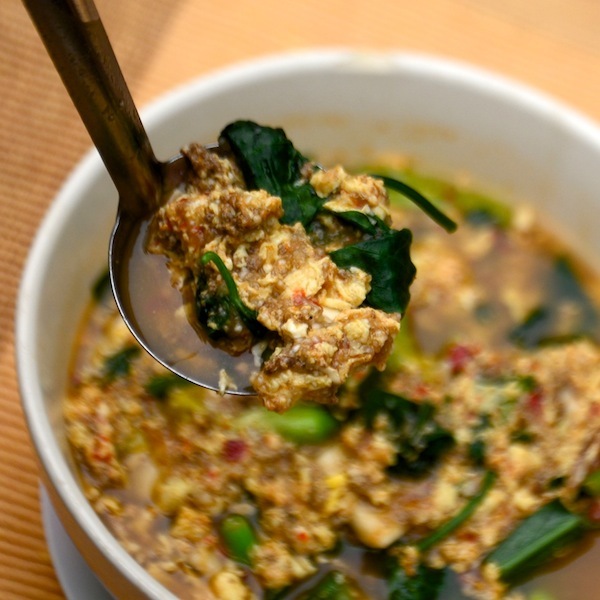 Other dishes we’ve enjoyed here include tom kha gai (chicken in coconut broth) and ant soup. The owner of the restaurant, Siriphong Charana, was a rock star 25 years ago with the band Cowboy Nam Poo. Siraphong, who’s also an architect, designed the restaurant he inherited from his parents. Baanrai Yarmyen is a little hard to find. Most tuk-tuk drivers should know it though. 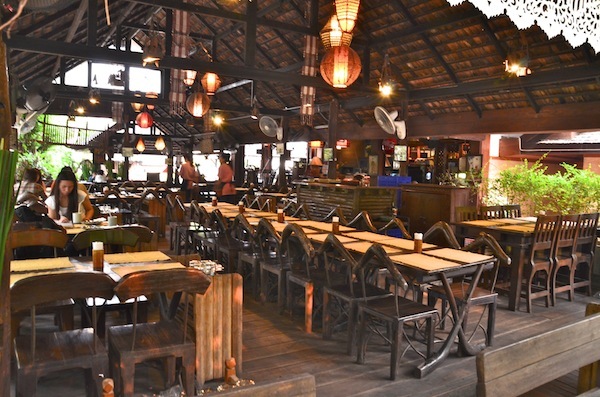 It’s VERY popular with tourists from Bangkok and it was our go-to place whenever we had visitors. The address is 14 Moo 3, Loi Lanka 3, Jaroenraj Road, Fa Ham Village. Delicious. I can’t wait to someday eat my way through South East Asia, mmmm. The chicken in coconut broth sounds divine. Hey Angela, I hope you love Chiang Mai as much as we did! And Chiang Mai has been really nice so far, we haven’t explored it that much. We’ve been working a lot in our apartment. It’s a good city to just slow down and feel at home. 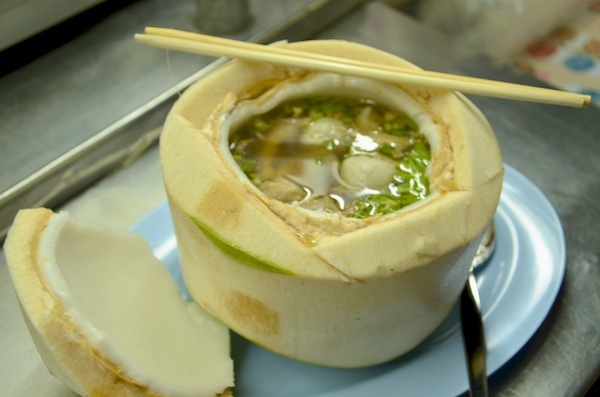 I’m moving to Chiang Mai soon and can’t wait to try all of this…so excited!! Chiang Mai is street food heaven. We loved it there so much. I often feel pangs of homesickness for Chiang Mai. Enjoy!